Alright, so I decided to change up how I how about his tail. In all the tutorials I read online, it all came back to this conclusion: getting the tail to stay upright and in a certain position is going to take strong wire, straps, and a harness. A HARNESS! Look, I don’t want to go there till I have to go there. So I decided I’m going to try out something else, and see how that goes instead. My alternate method? 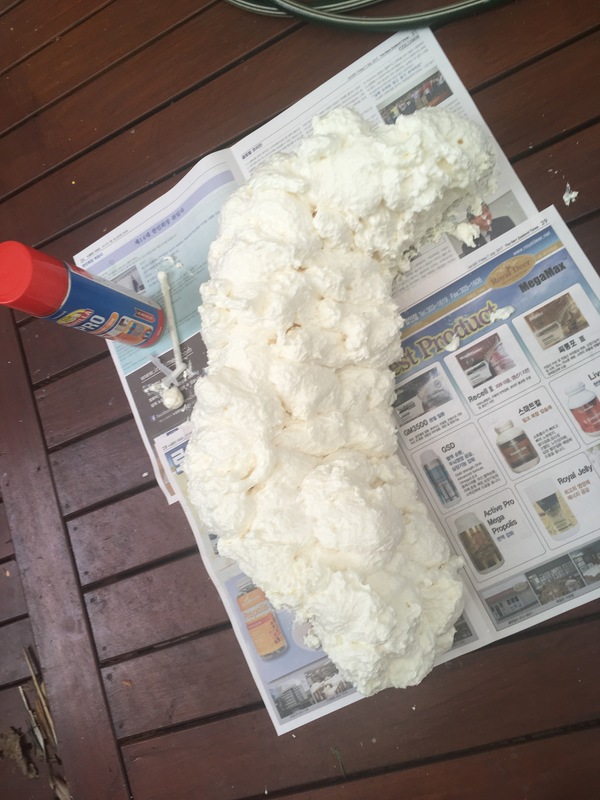 Expanding foam. Yes, expanding foam. You have no idea how much I love this stuff. My logic is, why put so much effort into trying to keep the tail in one position with fishing lines and harnesses when you could make it fixated in that position to begin with? 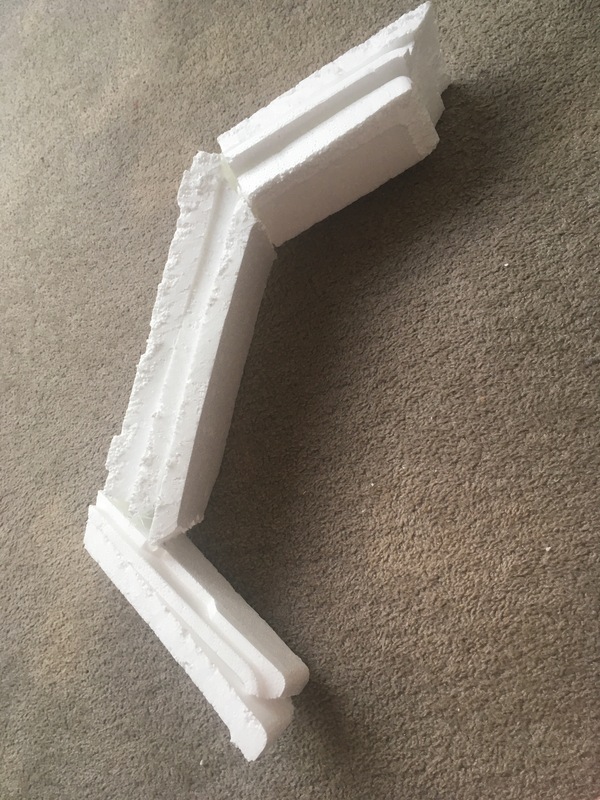 So what I did was grab a styrofoam box I had lying around and make a rough tail shape, hot gluing the pieces together. Next, I sprayed it with expanding foam. I actually ran out near the end so I scooped some excess with my hands and smeared it all over (and yes, my hands took a billion years to wash that out). The next step will be to carve the foam, and finally cover with faux white fur. Let’s see how this goes!